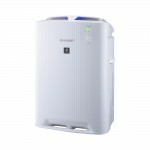 SHARP air purifiers have achieved Sales No.1* in Hong Kong, which are very popular among users. 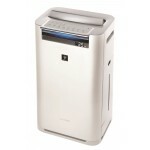 Plasmacluster technology is SHARP's original air purifying technology. Plasmacluster Ion Generating Unit produces high density of Plasmacluster ion, can inactivate 99.9% airborne viruses, bacteria and allergens. 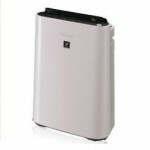 It can also suppress the growth of mold and remove odor. Maintain the optimal humidity level to provide comfortable living environment and prevent viruses. Minute water molecules from moisture delivered by vapor humidifying prevent skin, nose and throat dryness. 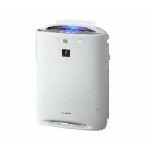 Strong air purifier performance with effective filtering system, effectively inactivates airborne allergens, viruses, bacteria, mold, PM2.5 and reduces odors including cigarette smoke*, garbage odor, pet odor and formaldehyde. Plasmacluster Air Purifiers are certified from the British Allergy Foundation, which remove allergens from the environment of the allergy.